I wrote this long before Jerry passed away, and for some reason I couldn’t write anything when he did. Just too many memories so this will do, its a bit late but it’s full of my heart. 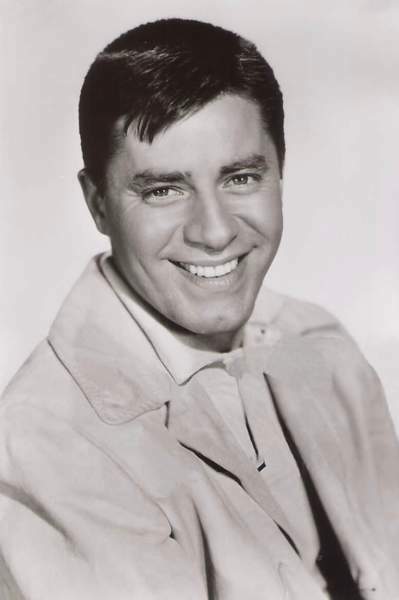 Jerry Lewis has always been rather special to me. When I was a child I remember seeing him in Cinderfella. I loved that movie. We also saw the MD telethon in my home every year. I would watch it Sunday night till my folks made me go to bed, then wake up early on Labor Day to see what was happening and if he made his goal that year. I had gotten up really early one labor day morning when I was about 8 years old and called the telethon, I told the lady I wanted to give my whole savings which was 5 dollars. I was really proud of myself, the lady on the phone could tell I was a child so she asked me to get my Mommy. “Well one of his ladies.” I answered. My folks just stared at me, but my Dad picked up the phone by his bed and said very carefully, “Hello?” The lady, who was working on the telethon explained what happened. My dad’s big blue eyes got watery, he called me over with his hand. I crawled over and was pulled into a one-armed hug. He said, “Yes, put down her donation and add a $20.00 donation from our family.” He explained to my Mom that I had donated all my money and she hugged me too. I felt very special. My next Jerry encounter was several years later. I always watched the telethon including when Frank Sinatra brought him and Dean Martin back together. My Mom was so excited because she had watched them live when they were together. Back in the day, when my Mom was a teenager, they used to have a show with the stars of a movie before the movie. You could spend all day, watching it over and over again with a picnic lunch and snacks. Apparently my Mom and her friend with their picnic lunches grabbed the stars attention. Jerry called out to them asking for part of their lunch. They became a part of my Mom’s memory forever so she was excited when my brother was a part of bowl-a-thon for Multiple Dystrophy and the Man himself was going to be here. I was about 15yrs old, I stood watching my brother bowl with my family, after the first line was over for the bowlers, Jerry took a mike and did one of his amazing comedy routines. We all laughed and applauded then I went to the ladies room. When I came out I saw the poster child, I love kids so I chatted with her about her school, and Jerry. Suddenly someone was tickling my ribs, thinking it was my Dad I was going to slap him on the arm. About half way around I realized it was Jerry. He had a huge smile and said, “Didn’t mean to scare you.” I explained I thought he was my Dad, because my Dad used to tickle me like that. He nodded and then asked me about school, my brother’s bowling and we talked to the little girl. It was a really great 10 minutes. I never forgot it. I have now seen every movie he’s made, and I really have supported his cause all my life. So it was with great sadness when he left the Labor Day telethon forever. It broke my heart. 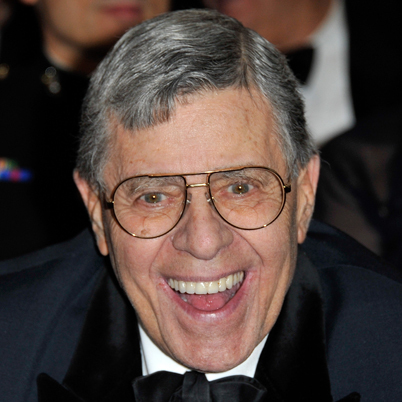 I was excited to watch him on PBS this weekend though in his special, “An Evening With Jerry Lewis; Live from Las Vegas.” Jerry is now 87 years old so I was very curious about him headlining a show at his age. Well I was very pleasantly surprised. He still has it! He is still current and funny. No curse words or shock comedy. He was just purely funny, just as I remembered him, he remembered his life with pictures, films and routines. There were surprise guests and it was really amazing. If you get a chance to watch it on PBS, I recommend it. I also recommend watching his old movies, yes even the black and whites because The Errand Boy is a true classic and it is all in black white. He is a special man, who brings special memories. Cheers Jerry. This entry was posted in "An Evening With Jerry Lewis; Live from Las Vegas., cinderfella, family film, Jerry Lewis, movie, movies, Uncategorized and tagged "An Evening With Jerry Lewis; Live from Las Vegas., cinderfella, jerry lewis by rithebard. Bookmark the permalink. And cheers to you, Sherri. What a lucky girl you are to have been tickled (literally) by Jerry Lewis. We sure miss him. Jerry tickled so many of us (figuratively). He’s one of the best! Reblogged this on Susan Marlowe CPA.